1715: The Golden Age of Piracy. New Providence is a lawless island, controlled by history's most notorious pirate captains. The most feared: Captain Flint. 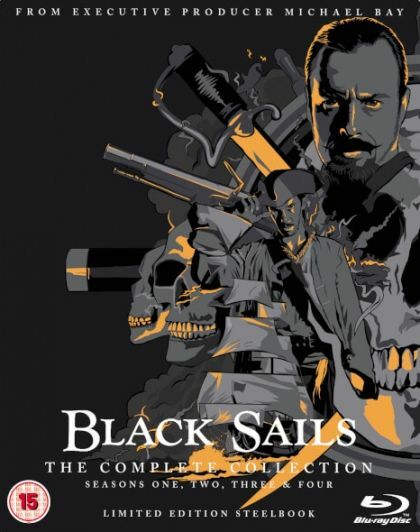 Whilst facing threats on all sides, including a possible mutiny, Captain Flint hires a young sailor named John Silver, who hides his most precious possession. Meanwhile, as the Royal Navy gets ever more powerful, Eleanor keeps order on New Providence. While Flint discovers a thief amongst his crew, Eleanor must make a difficult decision and John hides with Max, inside a brothel. While Flint and Gates realise they need help to find the Urca d'Lima, John and Billy have to increase the crew's morale. Also, Vane impresses Eleanor and Gates receives a promotion. Captain Flint is warned about Billy, Vane encounters someone from his past and Eleanor asks her father for help. Meanwhile, the crew of The Walrus suffer a disastrous undertaking. Bonny confesses, Rackham makes a life-altering decision and Richard forces Eleanor's hand. Meanwhile, a chess match is organised for Flint and the Walrus crew. The Walrus crew is stranded, with an army of Spanish soldiers standing between them and the precious Urca gold. And with their crimes against their brethren no longer a secret, Flint and Silver must join forces in a desperate bid for survival. Flint returns to Nassau and encounters a dilemma; Eleanor turns to an unlikely source for help; Rackham works to restore his reputation; Vane gets an unexpected prize. Flint threatens Vane. Eleanor chooses a side. Rackham learns what Max is capable of. Silver reunites with an old friend. Miranda embarks on a journey to save the island. Eleanor opens old wounds. Rackham sniffs around a big secret. Vane must take matters into his own hands. Eleanor brokers a peace. Rackham learns the hard way. Flint breaks a promise. Bonny loses control. Max cleans up after a massacre. News from the outside world changes everything for Flint and Silver. Eleanor risks her life for the sake of her future. Bonny faces a crossroads. Dufresne pushes Billy to act. Flint gives in to Billy's authority; Eleanor has a plan for Rogers; Silver turns to an unlikely source for help; Max is put on notice. Eleanor brokers the peace, while Rackham learns the hard way. Flint breaks a promise and Bonny loses control. Max cleans up after a massacre. News from the outside world changes everything for Flint and Silver, while Eleanor risks her life for the sake of her future. Flint and Madi prepare for the worst, Silver has his eyes opened, and Eleanor discovers Max's secret. Meanwhile, Rogers makes his move. Silver and his men hunt for Flint on Skeleton Island; Madi receives an offer; Billy casts his lot. Flint makes a final push to topple England; Silver seals his fate; Rackham confronts Rogers; Nassau is changed forever.